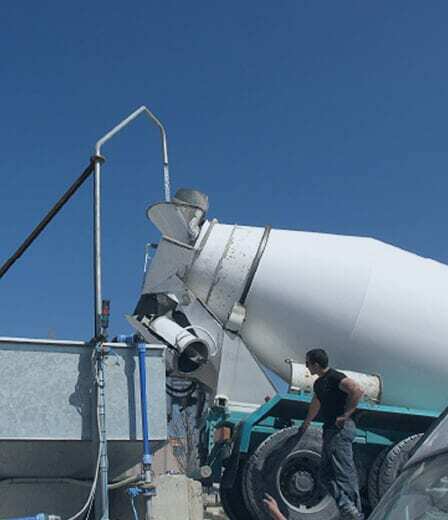 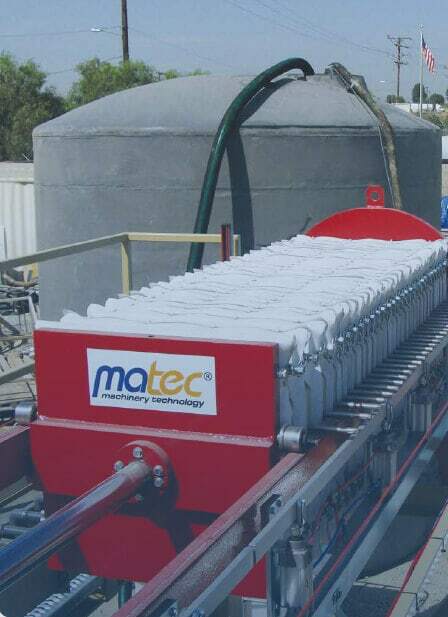 Matec Concrete Water Recycling plant solves the problem of surplus water derived from washing cement mixers, pumps, mixers and buckets. 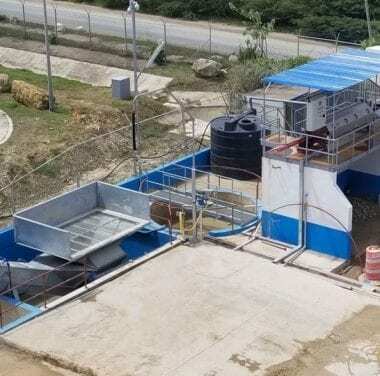 When combined with Disol 5000 (grease trap), the plant also solves the problem of water derived from washing wheels and tires of trucks exiting construction sites. 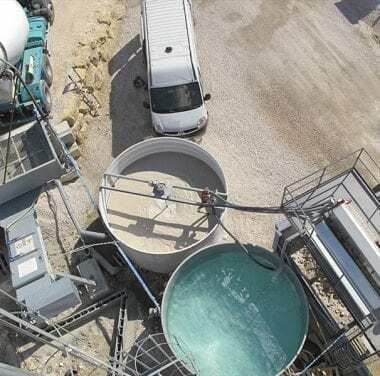 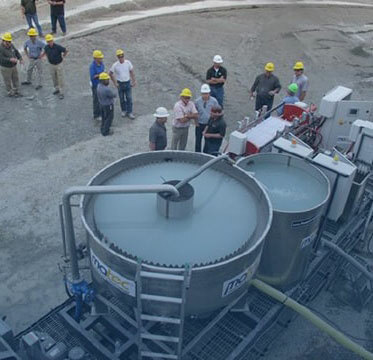 CWR (Concrete Water Recycling) gives the opportunity of separating, by using a screw separator, or also selecting, by using a dewatering screen, the cement residue from the water. 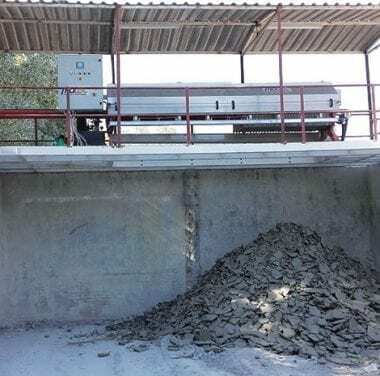 The slurry remaining is sent to the filter press to be squeezed and make it easy to be disposed of, reducing its volume by 80%.